Our Maker Camps and classes are popular with parents and children because they provide a wonderful mix of learning, creating, making, and fun! We offer skills-based camps and the students work with a variety of materials and projects including hand and machine sewing, painting, clay, paper craft, jewelry making, hammering, measuring...really too many to name! Come Join the fun! *Makercamps.com is not affiliated in any way with American Girl Doll brand. Christmas Maker Party is HERE! Get ready for the magic that comes with the Christmas season! Your girls will love making and creating for their favorite doll or stuffed animal! The projects she creates are mini sized for lots of continued engaging play through the holiday season! There is magic in creating and it makes her play so much more meaningful! As always, the camp is jammed packed full of fun Christmas activities. The girls always have such a good time together making things for their dolls. The girls will love celebrating the season with their special small friend! This skill-building camp is full of activities that bring the holiday spirit in a way that your daughter will treasure. As always, Our Maker Parties are specially designed so that the girls can complete the projects on their own-- so they own their work and can feel the satisfaction that comes from learning something new and building their skills! Christmas is such a special time, you won’t want to miss the party—invite a friend and join the Christmas Maker Party fun! This Maker Party is being held at the Hillcrest Community Center in Columbia, MO (More details on the registration form.) Tuition is required to reserve your place in the camp. Spring Tea Party and AG Doll Maker Camp is Open! We have had so many Mothers, Aunts, and Grandmothers ask if they could attend Maker Camp too! We heard you! This is your chance! More details below! Spring (lemonade) Tea Party and American Girl Doll Maker Camp will be a delightful way for your daughter to build her skills, make new friends, create sweet memories, all while having fun! This unique opportunity is sure to make sweet memories for your family! All girls will participate in all the activities. Mothers and Grandmothers have the option of participating for the tea party, make a hat too, and photo booth part of Maker Camp! You will join us for EITHER the first hour or last hour of Maker Camp--choose one on the Registration Form. This part of Camp is an add-on fee of $10. This Maker Camp will be held in Mesa at the Family Education School off of Greenfield and Southern. As you know, our Maker Camps fill very quickly! Grab your spot and don't forget to invite a friend to join the fun! REGISTRATION IS OPEN for SPRING BREAK AG DOLL MAKER CAMP! SPRING BREAK AG DOLL MAKER CAMP IS HERE! We’re coming to the end of our American Girl Doll Camps :( This Spring Break AG Doll Maker Camp may be our last one! There’s a chance we will do one more…we’re hoping to! But this Spring Break AG Doll Maker Camp will for sure be our last 2-day camp because our family will be moved before summer gets here. So we hope you can join us for the skill-building fun! The theme for this Maker Camp is Disney, Beach, and Sleepover/Late-over Fun! Sounds like Spring Break, right? And of course ALL BRANDS of Dolls are invited! The projects will fit all of the different brands of dolls—even the Wellie Wisher dolls size! And, just a word to the wise, our S.T.E.M. Space Spring Break Camp filled in 24 hours….so if you want a spot, don’t delay! This Spring Break AG Doll Maker Camp is PACKED with learning, projects, and FUN! Day 1 will be Disney and Beach Day! The girls will make Minnie Mouse ears for their doll, a Mickey ice cream treat, and even a doll-sized Dole Whip treat! She will also sew a bag, make a beach towel, some ocean jewelry, design a beach ball, receive a doll-sized bucket and sand toys for her doll, and more! Day 2 will be the Sleepover/Late-over projects! 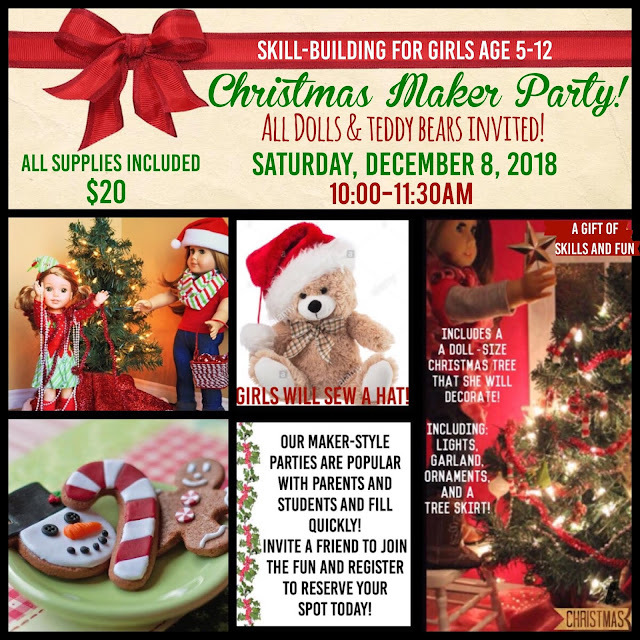 The girls will sew a sleeping bag for their doll, make a doll iPad, receive a doll-sized pillow pet with a night light in it, create some doll-sized popcorn and treats, make a doll-sized board game to play, and more! At AZ Maker Camps, our students are divided into groups by age. If you are attending with a friend, there is a place on the Registration Form to request being in the same group. The projects are designed so that all the students of all ages can be successful. We have 3 talented adult helpers at the AG Doll Maker Camp to assist the students in creating their projects. The girls will build their skills while they are having so much fun! AG Doll Spring Break Maker Camp is held at the American Family Education building off Southern and Greenfield in Mesa. As you know, our Maker Camps fill quickly! Don't forget to invite a friend and come join the fun! Registration is open for our S.T.E.M. Space Maker Camp! This is a skill-building Camp for Boys and Girls age 5-12. This is a skill-building camp and the projects are specially designed to help the students develop their thinking skills and creativity as they work on each exciting project! The projects are designed so that all students of all ages can be successful. We have 3 talented adult helpers at the S.T.E.M. Space Maker Camp to assist the students in creating their projects. Come and Build, Design, and have FUN at this STEM Space Maker Camp! As you know, our camps fill quickly! Don't forget to invite a friend to join the fun! 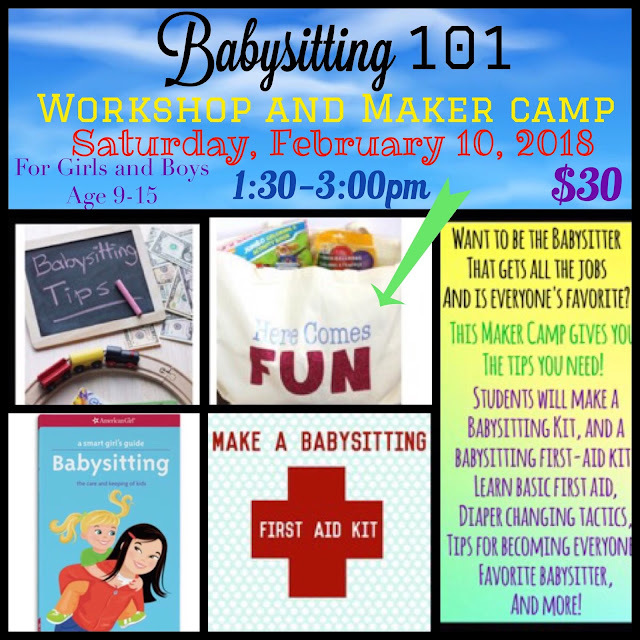 Babysitting 101 Workshop and Maker Camp! Want to be the Babysitter that gets all the jobs and is everyone's favorite? This Maker Camp gives you the tips you need! Make a Babysitting Kit---Including getting their own Babysitting BAG! Share with a friend and come build your skills! Our Maker Camps are specially designed so that the students can complete the projects on their own-- so they own their work and can feel the satisfaction that comes from learning something new and building their skills! As you know, our Maker Camps fill quickly--invite a friend and join the Babysitting fun! Christmas AG Maker Camp Is Here! Many of you have been asking if we have a Christmas Camp! It’s here! As always the camp is jammed packed full of fun and Christmas activities. The girls always have such a good time together making things for their dolls. There is magic in creating and it makes playing so much more meaningful. The girls will love celebrating the season with their dolls! Each girl will receive and decorate their own Christmas tree—complete with ornaments, a star, lights, and tree skirt! The girls will have a fun time creating, building their skills, making new friends, all while having fun! Share this email with a friend that would like to join you! This Camp will be held at the American Family Education building at 4833 E. Southern Ave. Mesa. This skill-building camp is full of activities that bring the holiday spirit in a way that your daughter will treasure! You won’t want to miss this one—Grab your spot quickly before they are gone! Halloween AG Doll Maker Camp Registration is Open!!! It's that dress-up time of year! Dolls and girls will have so much fun at this Maker Camp: Halloween Party Edition! 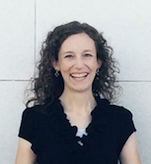 We are excited to invite you to this skill-building Maker Camp! It is the cute side of Halloween with Fairy costumes for the dolls and making pumpkins and treats for their dolls too! Invite a friend to join the fun! The Halloween Party is a skill-building Camp. The girls will bring home new skills, new friendships, a great time and the fun projects that they make themselves! Receive a Fairy Costume for their dolls and they will customize theirs just for their doll. All the projects are perfectly sized for their dolls and the girls love to play with things they have created themselves! Our Maker Camps are specially designed so that the girls can complete the projects on their own-- so they own their work and can feel the satisfaction that comes from learning something new and building their skills! As you know, our Maker Camps fill quickly--invite a friend and join the Halloween Party fun! Easter Egg*stravaganza Maker Camp Registration is Open!! Some of you have been asking if we will be doing an Easter Camp again this year….and the answer is yes! 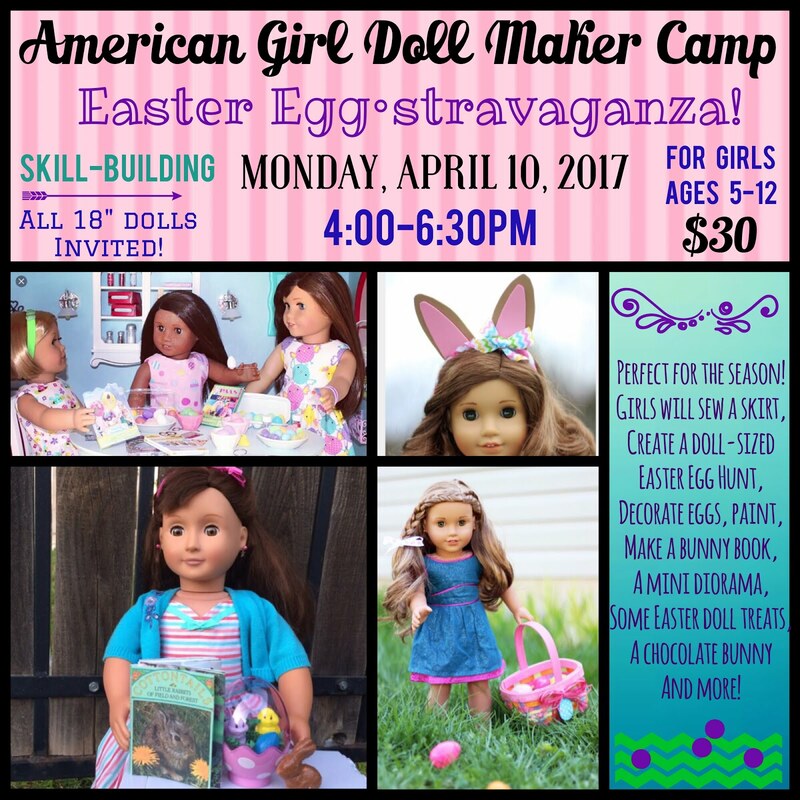 We are excited to invite you to the Easter Egg*stravaganza AG Doll Makers Camp! This Easter Maker Camp has all-new projects from last year, so if you joined us for the Camp last year, join us again because we are creating all-new projects this year! If you have a friend that would like to come—share this website with them! The Easter Egg*stravaganza is a skill-building Maker Camp. The girls will bring home new skills, new friendships, a great time and the fun projects that they make themselves! All the projects the girls make are perfectly sized for their dolls and the girls love to play with things they have created themselves! Our Maker Camps are specially designed so that the girls can complete the projects on their own—so they own their work and can feel the satisfaction that comes from learning something new and building their skills! As you know, our Maker Camps fill quickly—invite a friend and join in the Easter Egg*stravaganza fun! S.T.E.M. 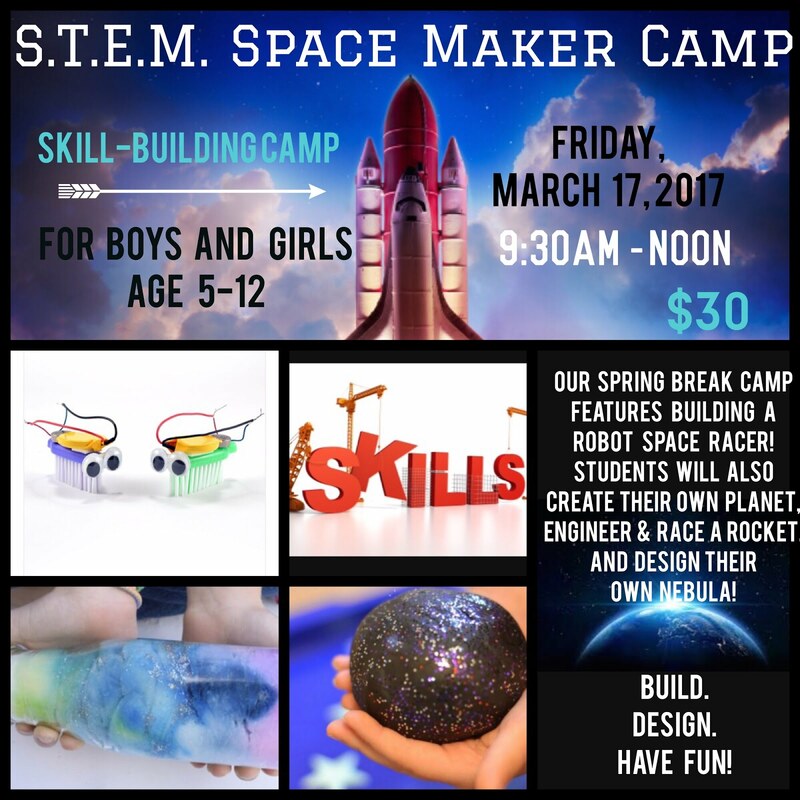 Space Maker Camp--Spring Break! The projects are designed so that all students of all ages can be successful. We have 3 talented adult Makers at Camp to assist the students in creating their projects. Camp held in Mesa off Broadway and Val Vista. (Address on Registration Form). 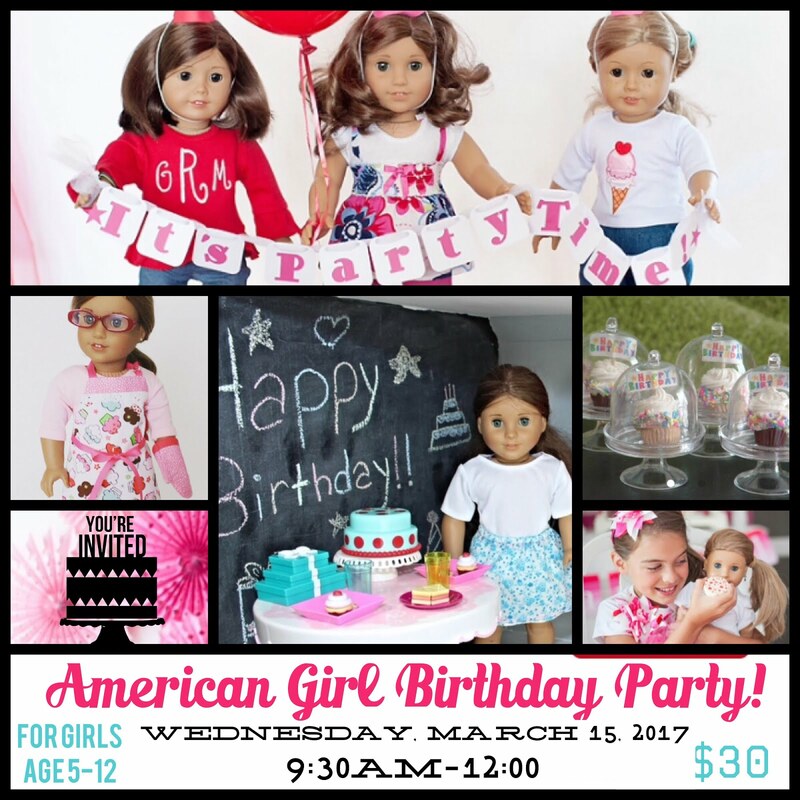 SPRING BREAK CAMP: Birthday Party AG Doll Maker Camp Registration is OPEN! This year, our Spring Break Camp includes a baking theme along with a birthday theme! Spring Break Doll Maker Camp will include Baking Day projects, a Birthday Party & St. Patrick’s Day making FUN! We will start off with the Baking part of Camp: The girls will sew an Apron & an oven mitt for their dolls! Then they will make a cook book so she can make the cake and cupcakes. She will create new mini canisters for flour and sugar. And of course she will be able to mix her yummy treats with a new mixing bowl and spoon! For the Birthday Celebration the girls will create a mini birthday cake (that will come home on a darling dome cake plate--see photo), we will also have cupcakes, and presents and a birthday game, balloons and party hats. And More! We will finish up the Camp with a fun St. Patrick’s day project! Camp held in Mesa off Broadway and Val Vista. **For those who Register Early we will send you a Birthday Party invitation for you and your doll in the mail! This is a skill-building camp and the projects are specially designed to help the girls develop their skills and creativity as they work on each fun project. As you know, our camps fill quickly! Don't forget to invite a friend to join the fun! Click Photo to be directed to the items for sale in this fundraiser. Making, Creating, Designing and Having fun with their Dolls! Amazing Stop Motion Doll Routines created at the Olympics Doll Camp! Winning at the Olympics Doll Maker Camp!